JEFFERSON CITY, Mo. - The Missouri State Highway Patrol joins the National Highway Traffic Safety Administration (NHTSA), the Ad Council, and other safety advocates to commemorate National Child Passenger Safety Week (September 14-20, 2014). The primary goal of this program is to remind all parents and other adults responsible for children traveling in motor vehicles of the importance of child safety seats and seat belts. Every year, children suffer needless injuries in traffic crashes. Preliminary statistics indicate that in 2013, 12 children under the age of eight were killed in traffic crashes, and another 1,720 were injured. Troopers issued citations to 2,311 drivers who failed to secure children less than eight years old in a child restraint/booster seat in 2013. BERGER, Mo - Earlier Monday afternoon at 1:17 p.m. New Haven/Berger Fire Crews and Hermann EMS responded to the 400 block of Market Street inside the city limits of Berger, Mo. 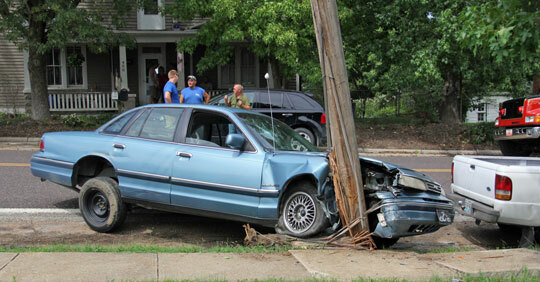 for report of a vehicle into a utility pole. STONY HILL, Mo. - In at statement from Gasconade County Sheriff Randy Esphorst further details were released following Monday’s autopsy of Kenneth Oberg who was found deceased in a wooded area near the Stony Hill Gun Club last Thursday. Sheriff Esphorst said in the statement that the cause of death was not immediately determined and an autopsy was performed on the deceased on Monday morning, August 25 at the University Hospital in Columbia. Preliminary results of the autopsy indicated that there were no signs of foul play. Toxicology results were not immediately available. STONY HILL, Mo. 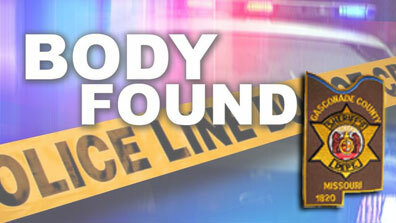 - Click here to read statement released Tuesday afternoon following Monday's autopsy. QuickNewsNow spoke briefly with Captain Chuck Howard who said that they expect to release a statement regarding possible cause of death sometime on Tuesday. --This evening QuickNewsNow spoke with Captain Chuck Howard of the Gasconade County Sheriff’s Department about their investigation into the deceased body that was found Thursday night in the Stony Hill area. Stock photo courtesy of FCSD. UNION, Mo. 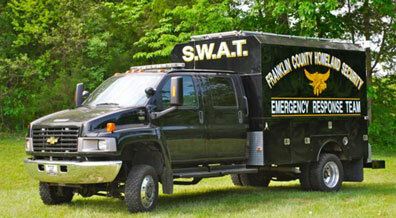 - The Franklin County SWAT Team assisted authorities in Ferguson, Mo last night and will be assisting them once again this evening. “We will be providing assistance on an as need basis as the situation continues. Our participation is the result of a “request” not an order from the Highway Patrol and St. Louis County Police”, said Sheriff Gary Toelke. UPDATED: Sat. August 16 at 2:00 p.m.
NEW HAVEN, Mo. - Early Saturday afternoon the New Haven Police released details regarding their investigation into the cause of Friday evening’s vehicle crash. 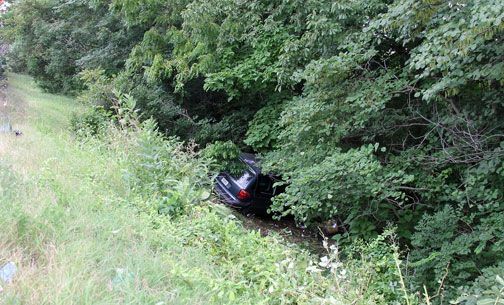 The driver of the blue 2006 Dodge Caravan was Alta Lee and the passenger was her husband, Pastor Elvis Lee, both of New Haven, Mo. NEW HAVEN, Mo. 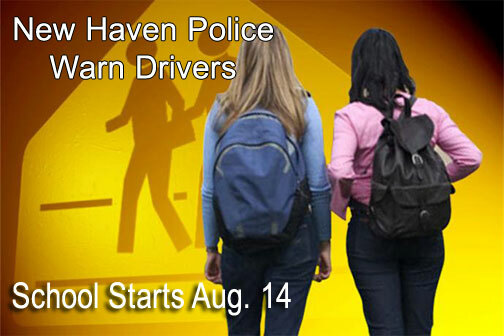 - New Haven Police Chief John Sheible would like to remind motorists that the new school year is upon us. As in years past, the officers will be watching for unsafe driving around all schools. “We’ve noticed that many people don’t seem to understand the area at the Highway 100 and Douglas St. intersection. There is a crosswalk there, and it is well marked with a flashing yellow light and signs. Drivers must yield to people crossing in the crosswalk", said Chief Sheible. Scenic Point Drive surrounded by smoke as Washington Fire Department works to put out the fire. WASHINGTON, Mo. 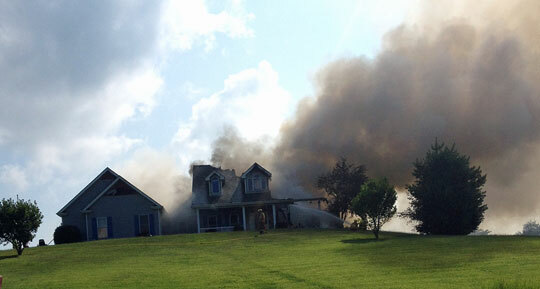 – Washington Fire Department responded to a house fire on Scenic Point Drive in Washington, MO earlier today, Monday August 11. LONEDELL, Mo. - At around 1:09 a.m., on Tuesday, August 5, deputies responded to Mercy Hospital in Washington, Mo. in reference to a possible gunshot victim. Deputies made contact with the victim who is a 19-year-old white male from Lonedell. The victim stated that he was riding a truck with three other males from the Lonedell and St. Clair area. He stated that he was in the rear of the truck with another subject. LONEDELL, Mo. - At around midnight, deputies responded to a residence in the 300 block of Pine Blvd in Lonedell, Mo. for an overdose. It was reported that a 17-year old female had passed out and was having seizures. Deputies determined that the victim and two other juvenile females, ages 14 and 15, had been smoking K-2 which is a synthetic form of marijuana when the 17-year old became ill. The 15-year-old also passed out and was taken to the hospital.